Abilene Talk - Share what you have heard, ask questions, or leave comments. Welcome to Abilene Talk! The first open forum on the City's Round Table! Got a question? Want to share some news? Heard something going on? Have a concern or idea? Abilene Talk is the place for you. City Manager Austin Gilley plans to participate in the conversation about City-related items -- answering questions, researching issues, and connecting you to City services and departments. The hope is to create a place for online gathering and discovering what is happening. Important! Registration is required to participate in this topic. There is still a "name not shown" option so questions may still be submitted anonymously. 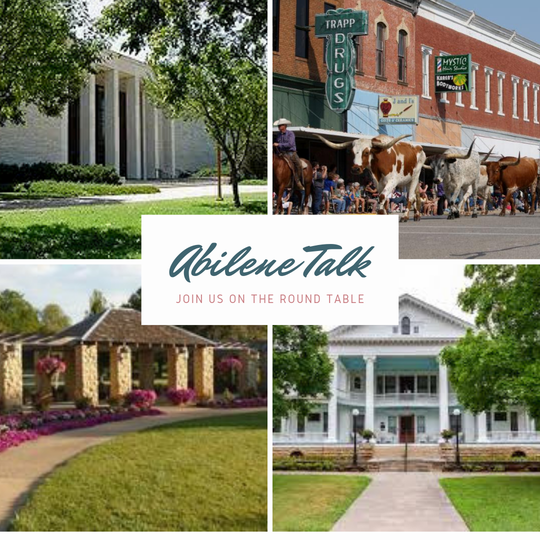 Abilene Talk and the Round Table are provided and moderated by the City.